National Lampoon's Christmas Vacation is a cult classic indeed. There are so many priceless scenes that you just can't get enough of. Randy Quaid as Cousin Eddie is one of our absolute favorites, given we rv full time now and have spent quite some time in the driveways of family members. 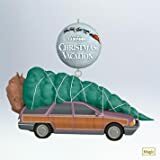 Those Christmas Vacation addicts, like us, would love gifts that remind us of Cousin Eddie, Flying Squirrels, Moose Mugs and anything Griswold. Just take a look....you can't help but laugh...and you'll want to rent the movie tonight, too! Our favorite movie of all time is National Lampoon's Christmas Vacation (A Christmas Story is our second! ), and there is no better gift for fans like us than than these gifts from the hit movie starring Chevy Chase and Randy Quaid. Since becoming full time rvers, this movie touches our heart even more, because in many ways (not too many, mind you) we've become Cousin Eddie. Yes, we've pulled the rv into the family's driveway on more than one occasion and plan to do so this Thanksgiving and Christmas, too. Don't believe us? Look at the photo...that was taken a few weeks ago in my Mom's driveway! 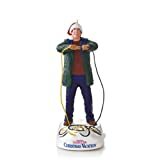 So whether a Cousin Eddie fanatic or just a huge fan of this hilarious movie, National Lampoon's Christmas Vacation gifts are sure to be a hit. Cousin Eddie Dickie And Eggnog Moose Mugs - Perfect! Who Can Forget These National Lampoon's Christmas Vacation Moose Mugs? How About A Cousin Eddie Hat Or The Whole Outfit? For those Christmas Vacation fans that are devoted to Cousin Eddie, there are holiday gifts aimed to please. Ed is notorious for his bomber hat and short, white robe, when parked in his rv outside of the Griswold's home. Help your Randy Quaid wanna-be get in Eddie's style with a fashionable bomber / trooper hat. Or.....be the life of the party yourself and show up for the holidays wearing the outfit! 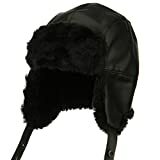 Help Him Look Like His Idol With Eddie's Bomber Hat And More! 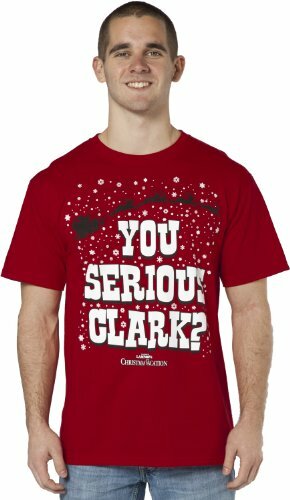 There are so many funny quotes and memories from the Christmas Vacation movie, and what better holiday gift than a t-shirt that produces these hilarious scenes, for the ultimate fan. 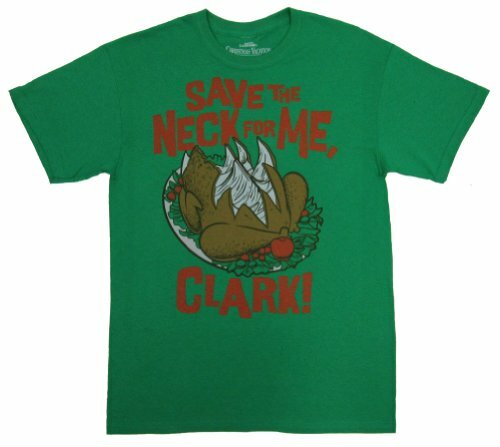 Though the movie takes place during the Christmas season, these National Lampoon gifts can be enjoyed year round. Aside from t-shirts, you can find other funny items like coffee mugs, aprons, magnets and more, suitable for any holiday shopping budget. For a family that worships the Griswold's, I envision the entire house wearing matching baseball caps or tees on Christmas Eve, for a family gathering...too funny! Griswold is truly a household name, because most people have seen one of the vacation movies in the Lampoon series...so most of the guests would "get it." Cousin Eddie's RV Ornament And More! MOOSE GIFTS - Can't Be Beat! 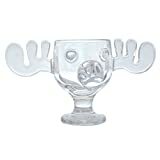 We all know about the famous moose egg nog mugs, but there is much more moose to be had! Just take a look at some of these other ideas for the Christmas Vacation fan.....there are even tiny shotglasses, which are much too cute for words. 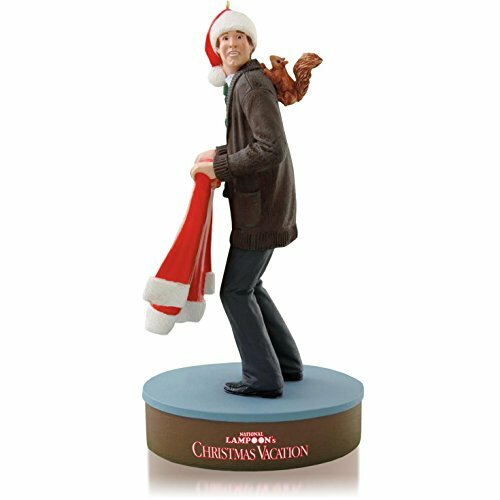 Hallmark 2012 "The Moose Mug" Christmas Vacation Ornament features Clark's Moose Mug and plays classic lines between Cousin Eddie and Clark Griswold. The Christmas Vacation squirrel scene is one of the best in the entire movie. 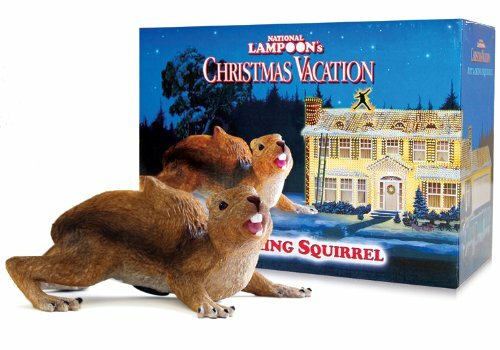 There is a perfect squirrel gift available (see below) for those who cannot get enough of the insanity that takes place in the Griswold's living room. Some of the best quotes come from this part of the movie, when Clark sets out to save his family from this crazy little beast. It all starts with the family hearing a noise, coming from the direction of the Christmas tree. Of course, Clark sticks his face into the tree and a squirrel comes flying out of it. All of the family is screaming and Clark panics, trying to decide what to do. At first, he wonders where Eddie is, stating "he eats these things," with his wife proclaiming he gave them up due to high cholesterol. Next, Clark says to his son, "Russ, get my hammer." His wife quickly asks why he would need a hammer. Clark explains he will capture the squirrel in his coat and hit it with the hammer. The biggest moment comes when Clark's father jumps in to lend a helping hand. They search high and low but don't see it anywhere. As Clark turns around, the audience sees it clinging to Clark's back and his father screams out (which seems like for eternity), "Sqqquuuiiirrrreeeellllllllll!!!" This is just one of the many memorable scenes in National Lampoon's Christmas Vacation. It is a great movie that the whole family will enjoy. 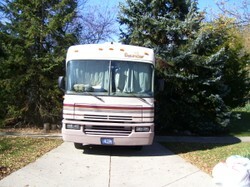 Now that we are rvers, we love it even more - yep, Cousin Eddie is our hero! Christmas Vacation Attacking Squirrel w/ Motion Sensor and Sound!! DON'T FORGET THE CHRISTMAS VACATION GIFT WRAP!! What Is Your Favorite National Lampoon Movie? Share It Here! Thanks Kaitlyn! So happy you found this helpful and fun......we are huge fans, too...so completely can relate! I am soo glad I found this! It's been a family tradition for the past 20 years to watch this movie every Christmas. My dad is going to go nuts over this stuff! Thanks for your comment! Glad you liked the article...there are so many cute gift ideas out there and the movie is "old" - so definitely a cult classic, I'm thinkin'! This is awesome! I had no idea I could buy moose mugs and a National Lampoon's squirrel. This is a great article. Thanks so much for sharing. I think I see some future Christmas presents for my mother on this page! I haven't seen the movie in a while; but it is a classic Griswold one for sure.